I was thrilled that the novella I penned as Allyson James ("A Little Night Magic" in Hot for the Holidays) made it to the finals in the RITA contest (RWA's annual contest for the best romances). It is the standalone "prequel" to my upcoming UF/paranormal romance series Stormwalker (out in May 2010). I'm working hard on the next Shifters novel, as well as the next Mackenzie novel. 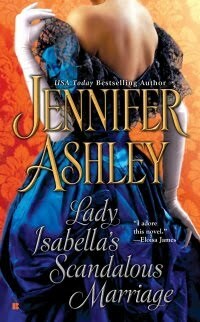 Lady Isabella's Scandalous Marriage is in the can, ready to come out as scheduled in July 2010. I will be posting an excerpt soon!